THE 1ST DAY WAS COMPLETED WITH THE VICTORY OF BOAT OMNIA OF CAN OKAN AND HIS TEAM! THE 1ST DAY OF 2017 MOST BODRUM TOURNAMENT WAS COMPLETED WITH THE VICTORY OF BOAT OMNIA OF CAN OKAN AND HIS TEAM! Famous names such as Turgut Konukoğlu, Adil Konukoğlu, Sami Konukoğlu, Cefi Kamhi, Uğur Işık, Sinan Kosif, Can Dikmen, Alp Kırşan, Can Okan, Berent Akdemir, Cihan Kosif, Sedat Akdemir, İskender Atakan, Çağdaş Çağlar, Yağmur Atacan and Mehmet Fırat are racing as contestants in MOST Bodrum Tournament, which took place in the waters of Palmarina Bodrum and Güllük Gulf. 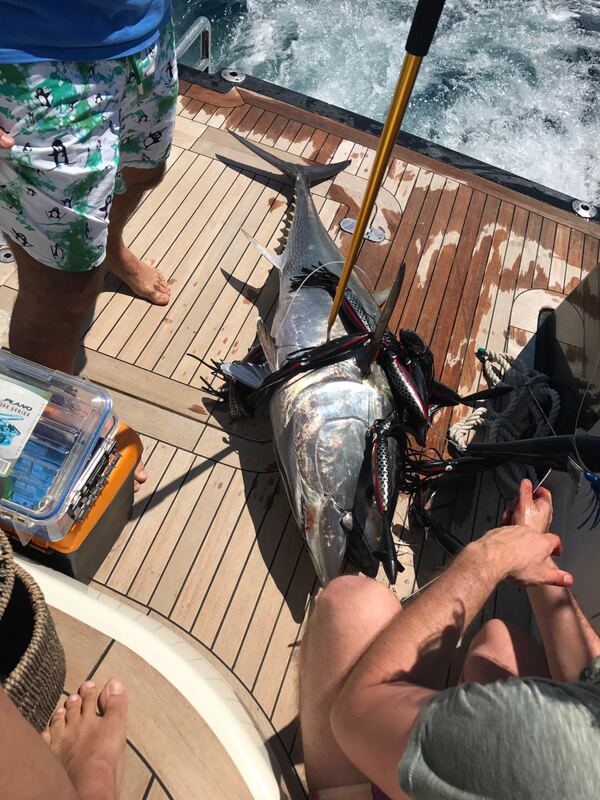 The winner of the first day became CAN OKAN, GÖKÇE BAYSAK, MEHMET KAVUR, HASAN CAN BALAY and TAYFUN EGE with their boat OMNIA with the 39 kg 800 gr Tuna Fish they caught at the end of the contest of half an hour. 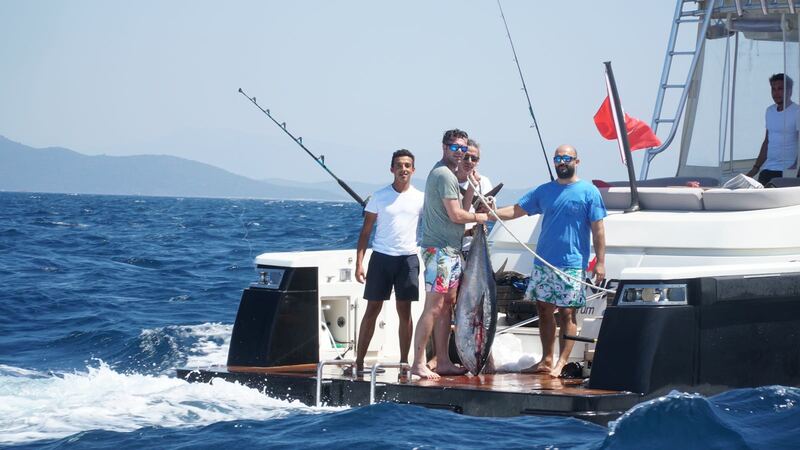 Based on the important contributions of sport fishing to tourism, economy and the environment and adopting as a mission to raise significant awareness on these issues, MOST Bodrum is continuing to create influence with its organisation "MOST Bodrum Tournament", which it organised for the second time this year within the frame of the rules of IGFA (International Game Fish Association) and which is regarded as, so to say, the "Formula 1" of sport fishing.